Recently, in one of mushroom bases located in Qixing Town, Baoshan District, Shuangyashan City, Heilongjiang Province of China, Black fungi are in orderly and vigorous growth status. 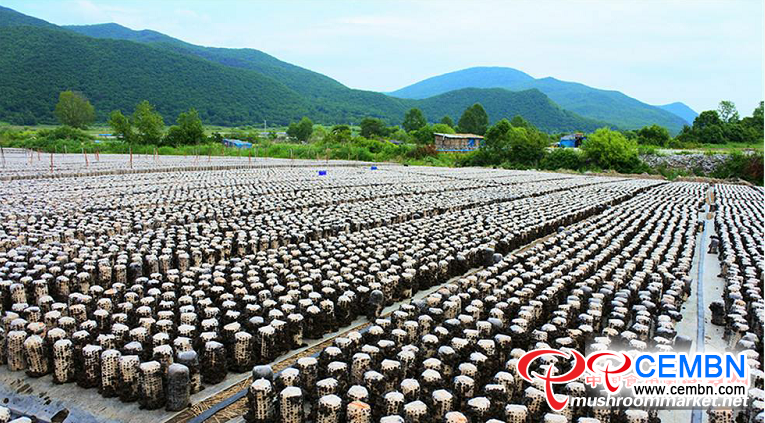 “In 2018, gross output on Black fungus came to 450,000 sticks, in accordance with the acquisition price of 50 CNY per kg, sales revenues hit 1.23 million CNY in Qixing Town,” said chief of Qixing Town with enthusiasm. Known as Wood ear, Black fungus delivers abundant protein, carbohydrate, coarse fibre, iron, vitamins, phosphorus and it gains popularity by the majority of consumers. In addition, Black fungus is also effective in lowering blood sugar and blood fat, boosting immune system, standing up to senility and protecting tissue damage. It is ideal for dieters, kids and old people.